When is the Last Night of Hanukkah? When is Chanukah Over? When is the Last Night of Hanukkah 2018? It's almost time to take out the Mensch on a Bench and sport your holiday-themed Hanukkah sweater! If you're old school, just stick to the menorah and spin the dreidel. Want to know when the festivities begin and where you can celebrate in Brooklyn? We've got you covered. When is the last night of Hanukkah? When are the last of the eight candles lit? If you want to give a friend or relative a Hanukkah gift, and haven't yet when's the last night of the holiday to do so? For most people who are not religiously observant, the holiday feels like it ends on the last night of candle lighting. The first night is the evening of Sunday, December 2. The last night of Hanukkah is Monday, December 10, 2018. 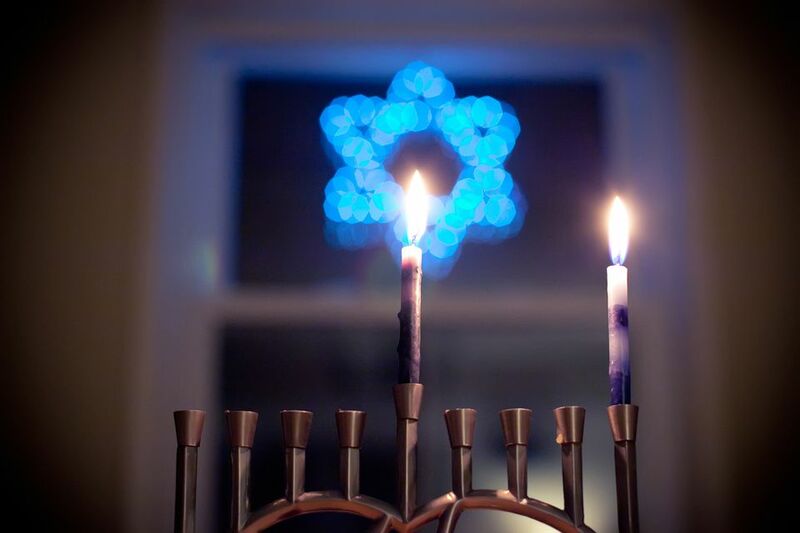 You can start celebrating this festive holiday with family as you light the menorah. Enjoy a family-friendly celebration at the Jewish Children’s Museum on Eastern Parkway in Crown Heights. The museum, where children can learn about Judaism through a series of interactive exhibits including crawling through an enormous challah in their play area or shopping in a kid-sized kosher grocery store. During the festival of lights, the Jewish Children's Museum hosts a series of family-friendly events where kids can make Hanukkah candles and eat doughnuts for the holiday. If you don't have enough gifts to get you through the eight days, don't forget to head to the gift shop. Attention all foodies! Devour delish Latkes at the Latke Festival on December 3, 2018, from 6-8:30 p.m. At the festival, you can sample inventive latkes from various NYC restaurants at this annual fundraiser, which raises money for the Sylvia Center. This year it's held at the Brooklyn Museum. Watch celebrity judges pick the best latke. The $75 admission gets you unlimited latke tasting as well as drinks. Start the holiday at Grand Army Plaza where you can join others as you watch the World’s Largest Menorah get lit for the first night. Manhattan does compete for the World's Largest Menorah, with their menorah in front of the Plaza Hotel. Hopefully, Brooklyn will have the World's Largest Menorah this year. In any case, it's a fun way to celebrate Hanukkah. Lighting usually starts at 6 p.m. most evenings, with Friday’s at 3:30 p.m. and Saturday’s at 7 p.m. There's a kickoff concert prior to the lighting on Hanukkah’s first night and latkes! It's a good reason to bundle up and spend the first night of Hanukkah with other Brooklynites in Grand Army Plaza. If you can spin a mean dreidel, you should get a two-person team together and sign up to spin at Major League Dreidel at Full Circle Bar. This annual event will determine the best dreidel spinner in the land. If you can't make it, be sure to purchase a spinagogue, from the Major League Dreidel website, and you can conduct your own friendly competition at your next Hanukkah party.